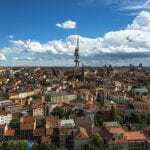 Home » Articles » Europe » 11 of the Best Museums in Prague & How to Visit For Free! Museums in Prague can be found on almost every corner, especially in Prague’s Old Town. Our personal top favorite picks for the best museums in Prague are the National Museum, the National Gallery, and the Franz Kafka museum. 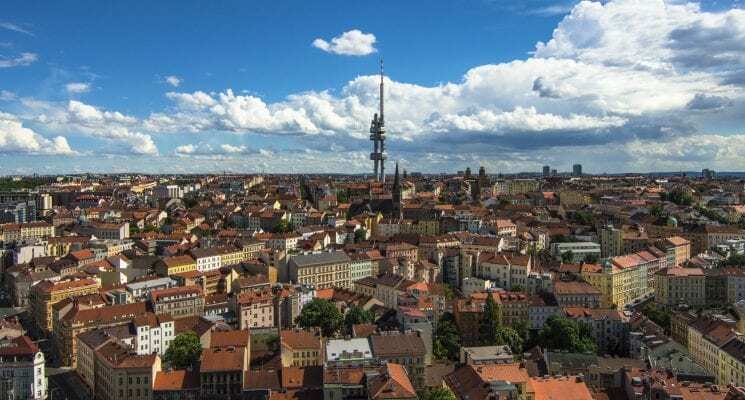 However, museum lovers visiting Prague should rejoice, because there are plenty of other smaller museums and art galleries peppered around the city that are worth your time! Keep in mind that a great way to explore many of the best museums in Prague for free is to visit the city during Prague museum night. This awesome event happens once a year in June, and participants are granted free access to over 50 museums in Prague! That’s quite the deal, and we hope that the city decides to add a winter version of this great event in the coming years. 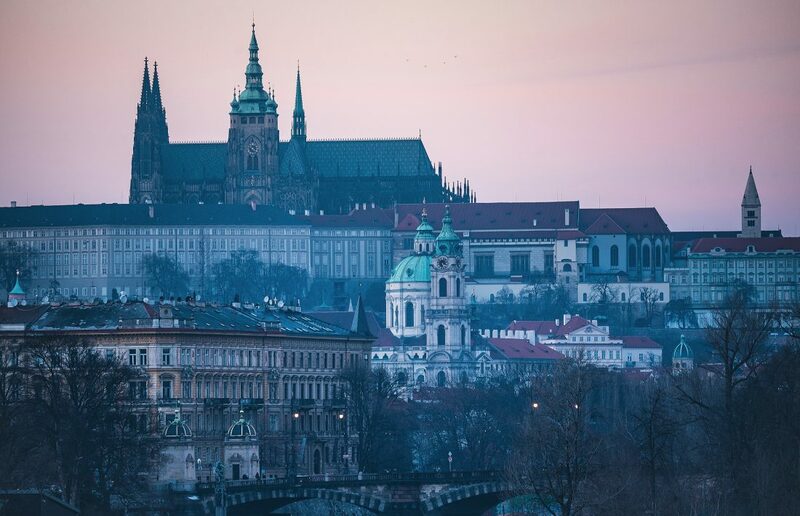 Even if you aren’t fortunate enough to visit Prague during Museum Night time we recommend visiting at least a couple of the great establishments listed below. We consider each of them to be among the best museums in Prague, and you probably will too! If you feel we missed a great Prague museum let us know in the comments below, or via Twitter! 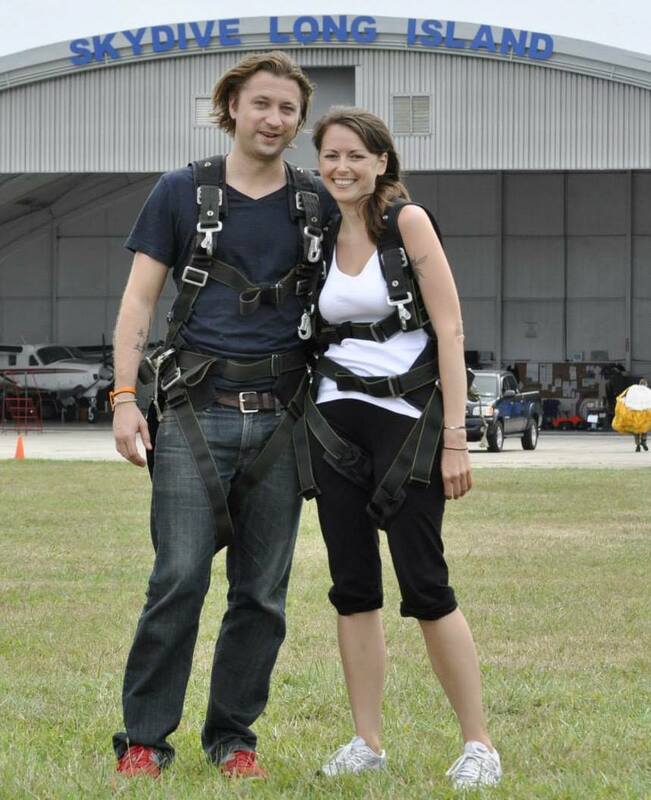 Enjoy exploring this amazing city guys, and as always, happy travels! If you guys are looking to take a cool tour while in town check out our guide to the best tours in Prague! The National Museum is the biggest museum in the Czech Republic and has 16 buildings all around the country! The main historical building has been recently renovated and it is the dominant building in Wenceslas square. Learn more about Czechoslovakia history, Celts – the Bohemian ancestors or simply explore some of the 20 million exhibits in the collection of the National Museum. How to Get There: take metro red line C to the station Museum, or just take a walk anywhere from Wenceslas Square, National Museum is the large building at the top part of the square. The National Gallery has seven buildings around Prague which you can visit with a single ticket during any 10-day period. We recommend starting at the main gallery and explore works of Czech artists Alfons Mucha, František Kupka or Josef Lada. 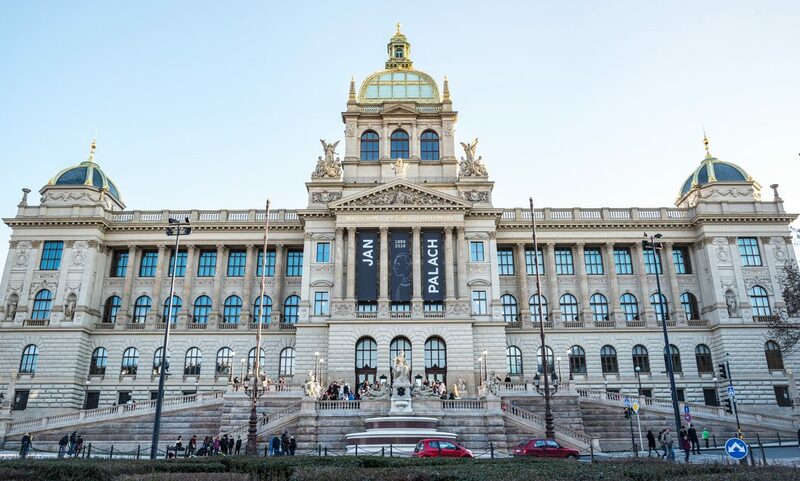 The National Gallery in Prague also has in its collections famous paintings from Augusto Renoir, Claude Monet, Pablo Picasso and Vincent Van Gogh. Tip: once inside, take an elevator to the top floor and easily walk down through several floors (and eras) of art. Did you know that Czechs consume the most beer per capita in the world! Yup, Czech people have traditionally loved their delicious heady lagers, so it’s no wonder that the capital city of Prague has museums dedicated to this delicious drink. Below are some of the coolest beer museums in Prague. 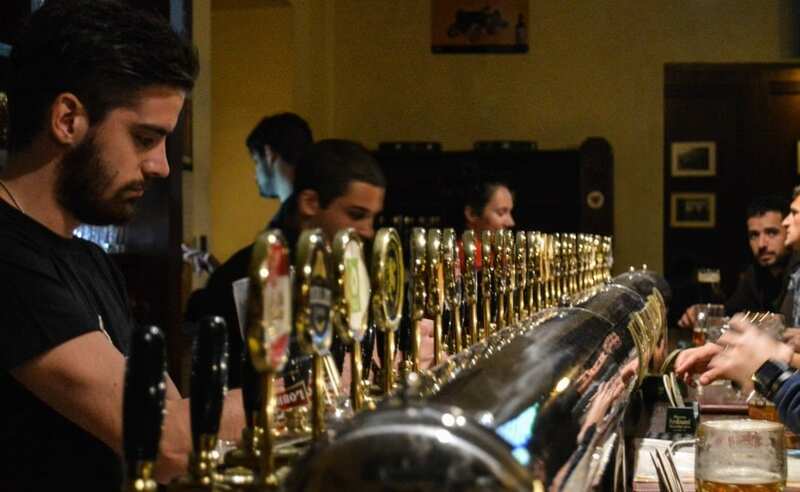 PS – If you are beer lover, there are plenty of great places to drink yummy beer in Prague. The Czech Beer Museum offers exhibitions of beer related historical items, a model of a small brewery, beer tastings, and a tour of a 13th century beer cellar. You can even bottle your own beer and slap on a personal label! The Czech Beer Museum has a small gallery and souvenir shop as well. Not as much a museum as a salute to all the amazing beer in the Czech Republic, the Prague Beer Museum is a pub with 30 craft beers on tap. You can taste different brands from even the smallest breweries all around the Czech Republic. The Prague Beer museum has two pubs in Prague’s city center, each serving typical Czech cuisine and of course fresh beer on tap. Pivovar u Fleků is a pub which has been established in 1499 and serving a delicious beer since then. The owners decided to celebrate the 500 year anniversary of this iconic Prague pub by opening a small beer museum. They offer visitors a brewery tour if you’re so inclined, but even a visit to the historical interior of the pub is interesting and worth it. Although it may sound like something only for music geeks, we had a lot of fun in this museum. Visitors can play a legendary Moog synthesizer, strum a harp, or try one of the weirdest instruments – a Theremin! 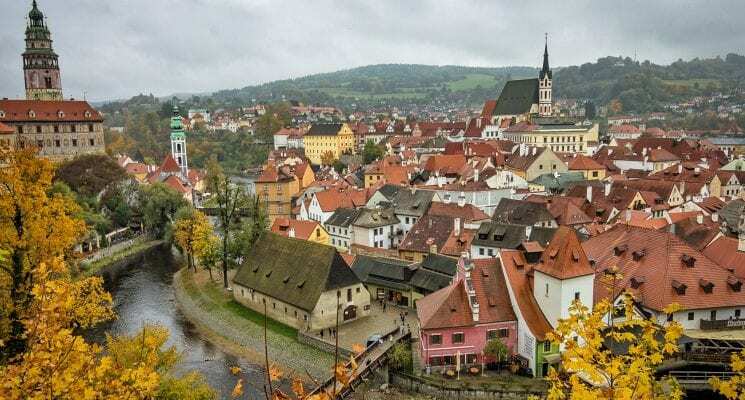 In addition to all of that you can learn about Czech folk and classical music, see a piano that was once played by Wolfgang Amadeus Mozart or a top-class violin Amati. If you’re into classical music, don’t forget to visit museums in Prague dedicated to famous Czech composers Antonín Dvořák and Bedřich Smetana. For more info ask the staff at the Museum of Music. Like most European cities Prague has its own historical Jewish ghetto. In addition to the beautiful old Jewish cemetery and synagogues, there is also a nice Jewish museum. 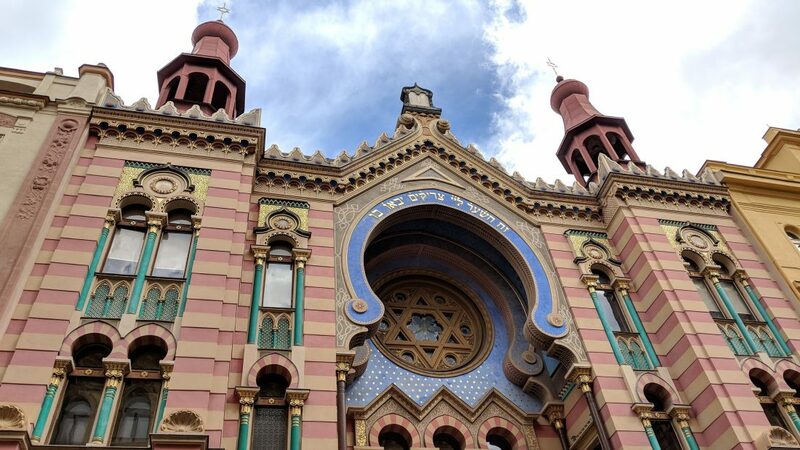 The Jewish Museum in Prague was established in 1906 and has one of the largest collections of Jewish heritage in the world. How to Get There: U Staré školy 141/1, Prague 1; Prague Jewish town is located just a short walk from Oldtown square or Charles bridge. Don’t forget to visit the museum dedicated to the famous Czech Jewish writer Franz Kafka located on the Vltava river in old town. On the way there, stop to admire his sculptures on Dušní street, on Národní třída, and in front of the Kafka Museum as well. Our favorite Prague art museum, Kampa Museum, is located on Kampa, an island in the Vltava river in central Prague. Before heading in be sure to admire the many sculptures and contemporary art dotted around the park surrounding the museum. Most notably, in our opinion are David Černý’s Crawling Babies (seen above). Once inside, visit the private collection of modern art at Kampa museum which is made up mostly of works by central European artists of the 20th century. In our opinion DOX Center for Contemporary Art is the best museum of contemporary art in Prague. It has a gallery, design shop, books store, and café. For a real treat, head to the rooftop and admire the impressive giant Zeppelin wooden “balloon”! Prague Public Transportation Museum, another of our favorite museums in Prague, has a unique collection of historical tramways, buses, and pretty much everything connected to the Prague public transportation. The museum itself is in a tramway depot which has been built in 1909 and is considered to be of national technical heritage. On the way from museum take one of the nostalgic tram lines (91 or 41) and ride the historical tramway through the streets of Prague. You can even rent a tram for you and your friends or for a company event! The National Technical Museum, the largest technical museum in Prague, is packed with great pieces of Czech industrial history. Find out more about Czech architecture, photography or transportation. Visitors can even take a peek at the first car made in Bohemia in 1898 or original Supermarine Spitfire LF Mk from WWII. The Aviation Museum Kbely in Prague has the biggest collection of airplanes and helicopters, engines, and even pilots’ uniforms in the Czech Republic. It also includes around 130 airplanes from the history of Czechoslovak air forces and civil aviation.